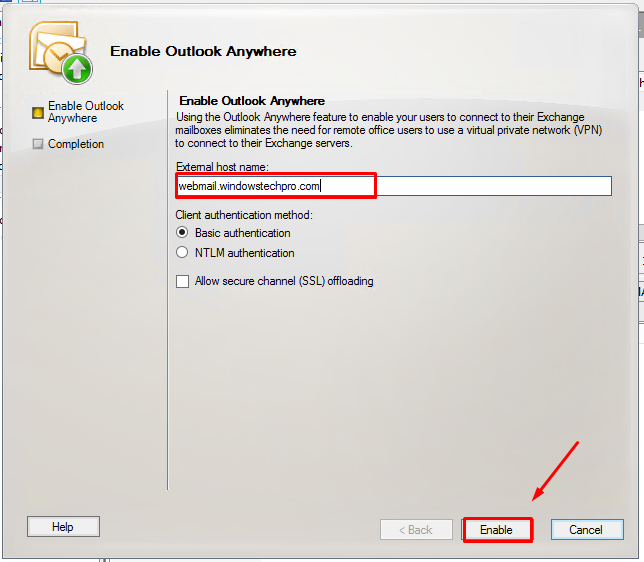 In this Part 3 article, We will see how the DAG and Outlook anywhere configured and how Outlook connectivity is working in the Exchange 2010 Environment. 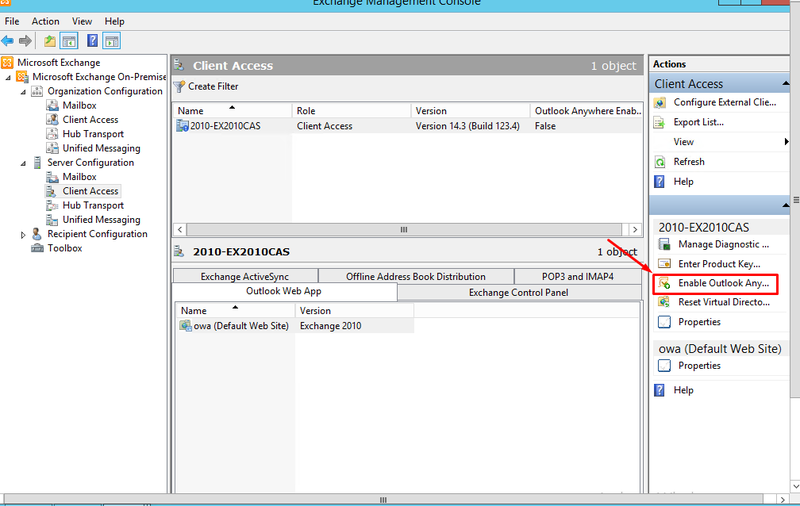 In Exchange 2010 Forest, DAG was configured as like below configuration. 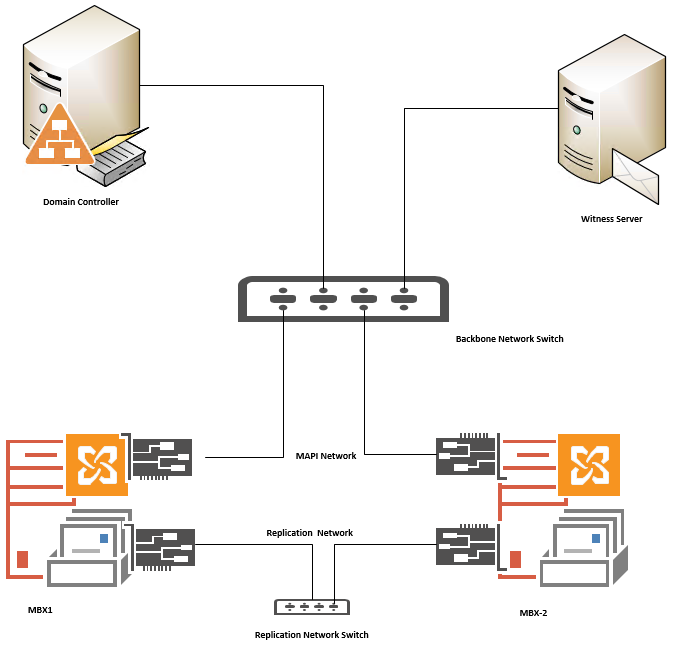 since we have seen it many times in my previous articles, i showed how it configured. 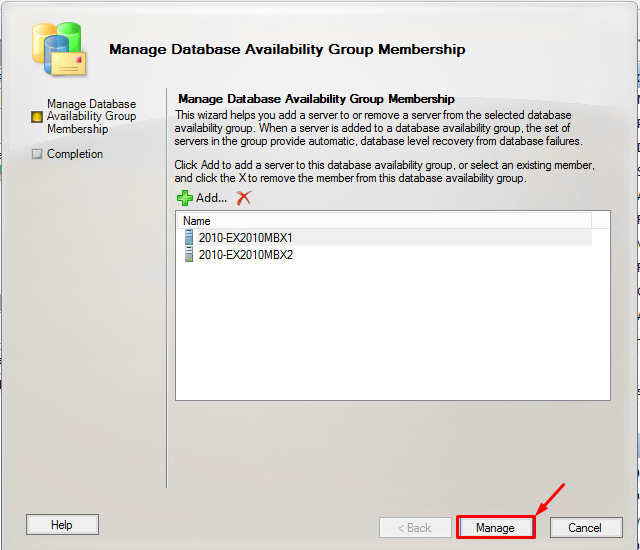 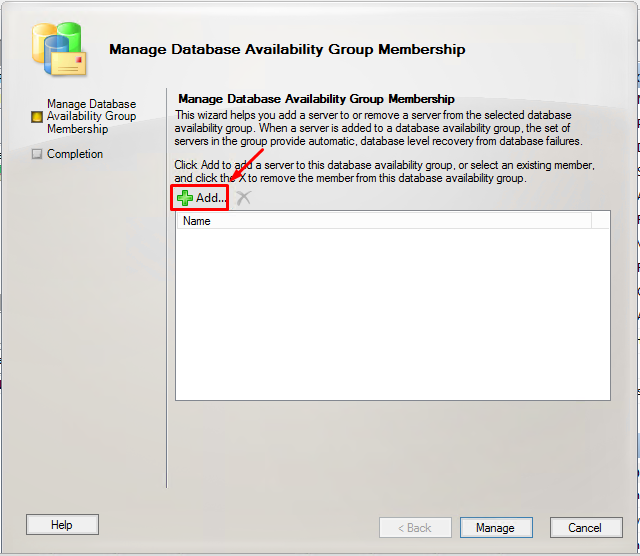 if you run, Get-DatabaseAvailabiltyyGroup and we can see the member servers are added successfully. 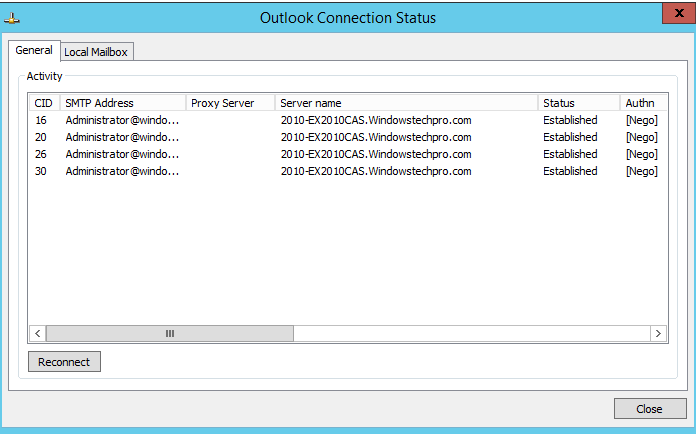 We can see both the copies are in healthy status. 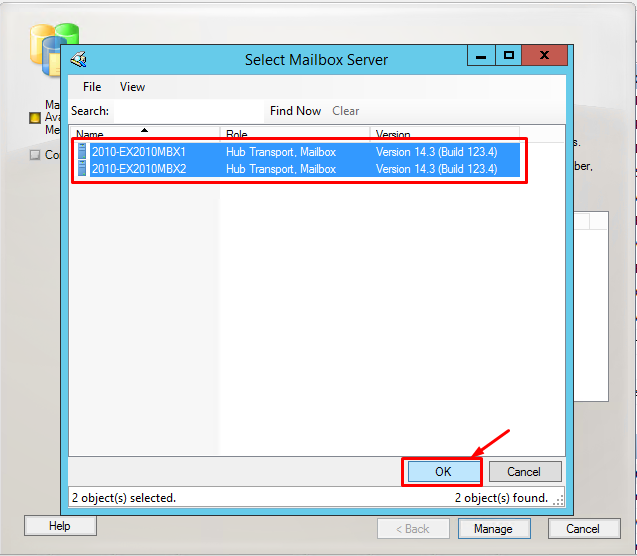 We can see the mailbox database moved to another Mailbox Server. 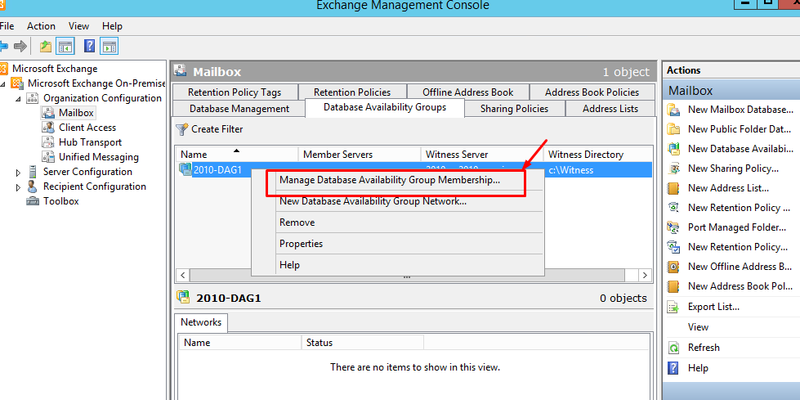 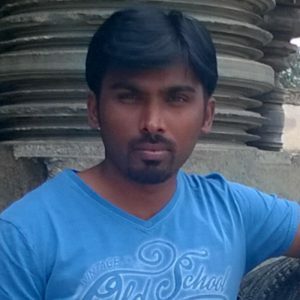 So DAG is working fine without any issues in the Exchange 2010 Forest. 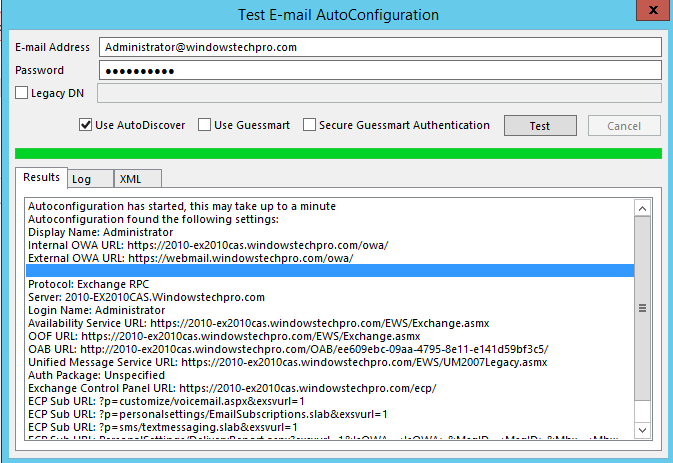 if you open outlook and check for the TEST E-Mail AutoConfiguration and test the auto-discover, We can see the mailbox is successfully connected without any issues.